Dr. Martinez graduated with a Bachelor of Mechanical Engineering from Carleton University in 1995. After obtaining his Bachelor degree, he worked for the Mass Flow Controller Industry as a Manufacturing Engineer in Yorba Linda, California, U.S.A. In 1997, he returned to Canada to complete a Master degree in Mechanical Engineering from Carleton University. In 2006, he completed his Ph.D. in the area of finite element analysis of smart material structures. 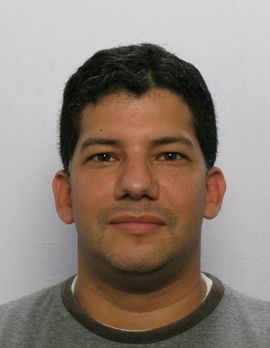 During his Ph.D. studies, Dr. Martinez worked for over 7 years in the telecommunication and biomedical industry where he gained valuable experience in mechanical design and thermal heat transfer analysis. In 2005, he joined the National Research Council of Canada, Institute for Aerospace Research as an Associate Research Officer, where he worked in the field of smart materials and structural health monitoring (SHM) systems for aerospace applications. In 2012, Dr. Martinez moved to The Netherlands to become a full time member of the Faculty of Aerospace Engineering at Delft University of Technology (TU Delft). In his new position at TU Delft, he continues to perform research on the development of a Holistic Structural Integrity Process (HolSIP) for aerospace structures. At present, he continues to supervise graduate students, both at TU Delft and Carleton University in the field of finite element analysis and experimental mechanics of aerospace degradation processes, smart materials and load monitoring. Aerospace scientists and engineers have been working on the development of a HOListic Structural Integrity Process, known as HolSIP. This process is physics based and founded upon the primary idea that all failure mechanisms involved in the degradation of the structure are interconnected and should not be analyzed as merely the sum of individual mechanisms. In reality many failure mechanisms interact synergistically and are much more complex and challenging to understand, and thus the requirement for a holistic physics based analysis and design approach to structural integrity problems. The final goal of this holistic approach is to more accurately assess the reliability and structural integrity of aerospace structures and whenever possible assist in extending the life of the structures. HolSIP requires many inputs to be able to provide the required outputs that structural integrity engineers need in order to assess the remaining useful life of an aerospace structure relative to its original certification. In order to achieve such a goal, HolSIP combines research fields such as: Health Usage Monitoring (HUMS), Structural Health Monitoring (SHM), and Machine Learning Algorithms, initial and current structural conditions and Flight Load and Condition Monitoring. As part of his research, Dr. Martinez, attempts to examine the implementation of a holistic approach on the development of an amphibious solar power Unmanned Aerial Vehicle (UAV) and show how HolSIP is being integrated from the design to the manufacturing process of the UAV. In order to achieve this objective, Dr. Martinez investigates some novel ideas on the use of Micro-Electro-Mechanical System (MEMS) for acquiring gyroscope, accelerometer and magnetometer data in combination with a Rayleigh Backscattering Fibre Optic System for flight load monitoring. In addition, he integrates the role of SHM technology as part of a HolSIP vision. However, in order to truly close the loop, Dr. Martinez with support of his research team, analyzes the implementation of physics based models that combines crack growth behaviour with variable residual stress fields. Finally, Dr. Martinez is always open to national and international collaborations that move the HolSIP vision closer to reality.